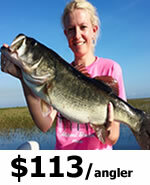 Are you looking for a fantastic fishing experience near Tampa, FL? Hop on board for a Tampa FL Boat Charters for a fishing adventure of a lifetime with our local experts. Whether you want to explore saltwater or freshwater, we have you covered. Tampa FL Fishing is AWESOME! The diversity of fishing species and fishing techniques are endless! 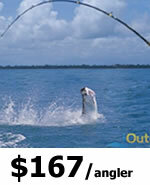 Take an iOutdoor Charter for some Deep Sea fishing: Wahoo, Shark, Dolphin, Cobia, and King Fish! 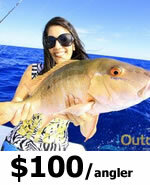 Tampa also offers the BEST Bottom and Wreck fishing for Grouper, Snapper, Cobia, Shark, and Amberjack! 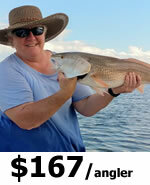 Tampa is known for its Inshore/Bay fishing: Tarpon, Snook, Grouper and Mangrove Snapper. The Backcountry and Flats are filled with Reds, Snook, Grouper, Tarpon, and Snapper as well. In minutes, you could be fishing in the Gulf of Mexico on the biggest, fastest, most modern fishing boats in Tampa! You WILL be using the best bait, tackle, and fishing equipment on the market today! Our Captains have been Charter fishing Tampa Bay and the Gulf of Mexico waters for many years- and know them better than their own backyards- Just asked their wives! We hope to see you on a Tampa FL Boat Charter in the near future! Search iOutdoor, Compare & Book the Best Tampa Boat Charters Today. Species:Tampa Fishing Charters can help you explore the surrounding fishing grounds for a wide variety of species whether in fresh or saltwater. 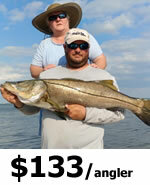 Call us at +1 (888) 412-1117 and let’s start planning your Tampa FL Boat Charter Fishing! For additional Tampa, Florida information be sure to go to Tamap Bay.